Lyell was born in Kinnordy, Scotland, on November 14, 1797, to a family that encouraged his early interest in natural history. Entering Oxford University at age 19 to study mathematics and geology, he spent vacations indulging a growing enthusiasm for fieldwork. His parents, however, pushed him to pursue a law career, and he was admitted to the bar in 1825. Given his passion for outdoor work, Lyell finally persuaded his parents that he should give up legal service and become a full time geologist. In 1825 Lyell published his first scientific papers, including evidence for vertical movements of Earth’s crust and observations of sediment layers in lake beds. Drawing on his acute observational and reasoning skills, he embraced the theory of uniformitarianism, first put forth by eighteenth ­century geologist James Hutton. Lyell traveled throughout Europe and gathered evidence for the idea that all geological formations result from the cumulative effects of ordinary physical processes still at work, such as erosion and deposition. This idea opposed popular belief in catastrophism, which posits that only individual global cataclysms reshape Earth periodically, changing both land and life forms. 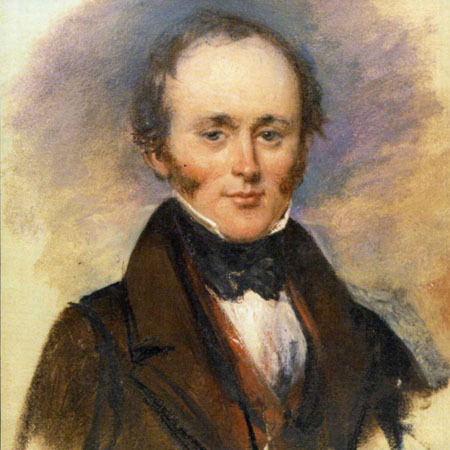 The three volumes of Lyell’s influential Principles of Geology were published in 1830, 1831, and 1833. The book, appearing in 11 more editions during Lyell’s lifetime, offered numerous global examples supporting uniformitarianism. Its popularity and superior descriptions of rapid erosion and deposition in selected areas of the world earned him wide recognition and a professorship at Kings College, London. He completed a second treatise in 1838: Elements of Geology discussed the sedimentation of rocks and fossils. He introduced a method of classifying the layers of Earth’s surface based on how many fossils of modern species they contain, proposing the names Eocene, Miocene, and Pliocene for three distinct epochs. In the 1840s and 1850s Lyell traveled and lectured in North America and wrote two more books, describing unique aspects of that continent, both natural wonders and social progress. In his later years, he participated in efforts to prevent mine disasters and to reform education, and continued to study geological phenomena. At first reluctant to accept CHARLES DARWIN’s On the Origin of Species, which appeared in 1859, he was quickly won over; Lyell’s 1863 work, The Geological Evidences of the Antiquity of Man, supported Darwin’s ideas. After his death on February 22, 1875, he was honored as a geologist and humanitarian with burial in Westminster Abbey in London. Lyell established fundamental principles of all subsequent geology, contributing to the development of evolutionary biology and the modern understanding of Earth’s history. The eloquence and persuasiveness of Lyell’s Principles of Geology popularized uniformitarianism. The theory challenged the long ­held belief that Earth was only a few thousand years old. Lyell noted that Earth must be at least several millennia older for slow processes such as erosion and deposition to have produced its current features. Lyell was among the founders of the geological sub ­discipline stratigraphy, the study of the layers, or strata, of Earth’s crust. The names Eocene, Miocene, and Pliocene are still used today to designate three epochs of the Tertiary period, which lasted from 65 million to two million years ago. Darwin was strongly influenced by Lyell’s work. On his famed voyage aboard the Beagle, he read the first volume of Principles of Geology and witnessed many phenomena convincing him of Lyell’s arguments. He later claimed that the book opened his mind to ideas that led him to question the immutability of species and to construct his theory of evolution. Lyell’s acceptance of and supporting evidence for evolution added credence to the controversial theory. Lyell’s reputation waned in the next generation, as Darwin’s fame overshadowed him. Scientists began to attribute some of his ideas to Darwin, but in fact much modern geological methodology originated with Lyell. Posted on March 9, 2015 by Natalie. This entry was posted in Geologists. Bookmark the permalink.